We know it’s tough for even the most careful and vigilant teeth-brushers to keep their mouth and teeth in good shape over time. Children, patients with weakened tooth enamel, or patients living with diabetes or an autoimmune problem are especially vulnerable. In addition to just getting to see you for a pleasant visit, here are the real reasons we want to see you twice each year! Let’s work together to avoid problems and keep your oral health in top condition! The priority of your six-month dental checkup is a thorough cleaning. We have the tools and expertise to remove the bacteria in your mouth that brushing and flossing simply can’t touch. It takes about six months for bacteria to build-up under the gum line, and we want to catch it before it causes trouble like cavities. At each of your visit with us, both the dentist and hygienist will be able to do a close inspection of any gum disease from tartar or plaque accumulating along or under your gum line. This simple check quickly identifies if there are any issues that need dealing with in order to avoid erosion of the gums and disease getting to the root of a tooth. And, besides, who enjoys a root canal?! Even the strongest teeth can develop cavities! We will check all your teeth for any erosion or holes and, if there are problems, we can catch them when they are small and easy to fix. 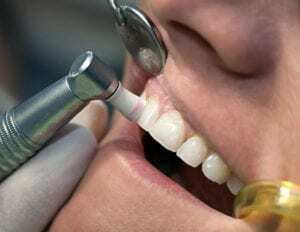 Just think of getting a tiny cavity filled when you pop in for a 6-month check-up, rather than setting up an appointment for a deep cavity issue that requires local anesthetic because we haven’t seen you in a couple years. We think you’ll agree, the former sounds like a better plan! While we will inspect your teeth and gums each time you visit, we also use digital X-rays (usually at least once a year, not necessarily every six months) for an even more comprehensive review of your mouth. Fast, easy, and safe, the best dentists will use digital X-rays to ensure any oral health problems, cavities, or disease is identified early. We will perform a quick, painless check for the presence of oral cancer during a checkup. If it is present, it’s important to find the cancer at an early stage – even before symptoms appear – when the problem is easier to treat. Oral cancer screening is an important part of your six-month checkup! Regular dental visits will help you avoid unnecessary issues and keep your smile beautiful. We really want to make we can stop any oral health problems before they start – and the best way to do this is to schedule a dental checkup every six months!